town to Team Utah from America. 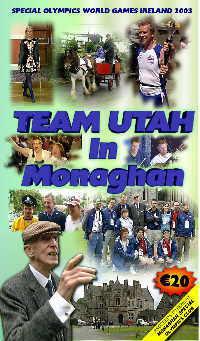 host town committee pulled out all the stops in a bid to give their visitors a flavour of life in Monaghan. a reception in Carrickmacross, a visit to the wildlife centre at Clontibret and the Special Arch Club Party.